The NVAT-LT (Night Vision Adapter for TwistMount) from N-Vision facilitates rapid (<5 sec.) interchangeability between Aimpoint's 3xMAG, CEU (Concealed Engagement Unit), or DSTO's OAVD (Off Angle Viewing Device) and an AN/PVS-14 night vision monocular. No tools are required when switching optics. The NVAT-LT mounts directly to Aimpoint's TwistMount Base, and it correctly aligns the NVD with Aimpoint's Comp-series red-dot sights when they're mounted in an Aimpoint QRP Ring/Spacer. The NVAT will also co-align the NVD with most night vision compatible EOTech sights that are mounted directly to a flat-top M16/AR15/M4's Picatinny rail. 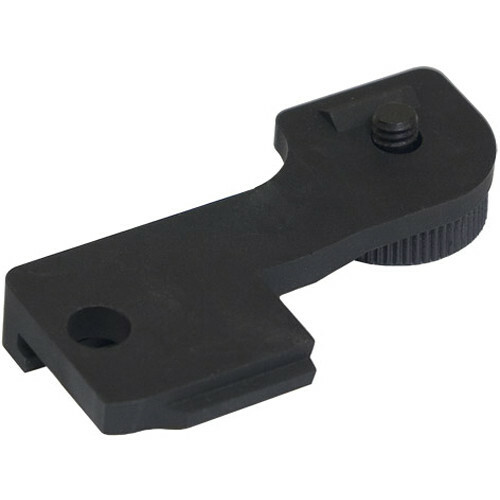 This NVAT mount is the LT or lightweight low-profile version. It is not compatible with firearms that have back-up iron sights (BUIS) installed.